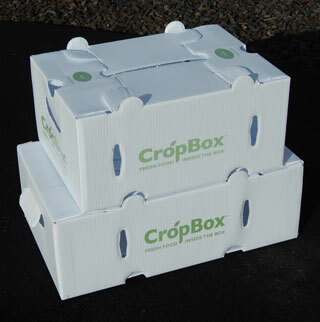 Sealed Flute Corrugated Plastic Boxes can be cleaned and sanitized and used year after year saving thousands of dollars on corrugated cardboard cartons whenever you distribute through a closed loop distribution system. 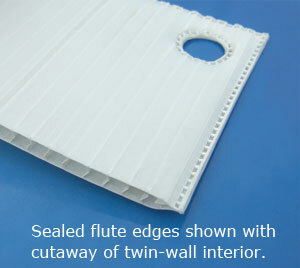 The heat sealed edges strengthen the carton panels and prevent contaminates or bacteria from entering the flutes, providing a worry-free shipping/transporting solution. 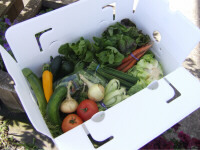 They are the best solution for CSA produce farms to keep produce fresh and minimize long-term expenses. To get a quote, click on the “Contact Us’ button below and tell us how many of each size you need and where you are located. Custom printing and colors available. 1000 box minimum. Call for pricing.